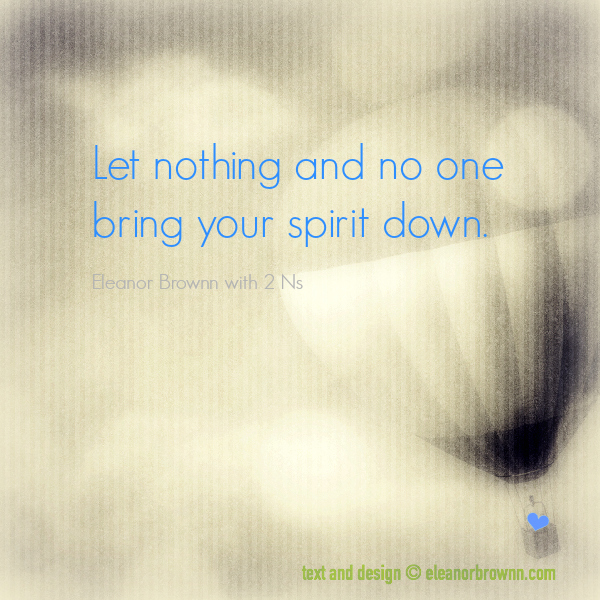 Visit www.facebook.com/BrownnCares for a daily inspiring message. Words and illustrations by Eleanor Brownn. "It wasn't just the extra 80 pounds, it was how bad I felt about myself and my doubts concerning whether or not it was possible for me to change what I was doing. Just for today I am a normal body size, but I am not my weight. What's important is who I am on the inside. At MILE 9, I discovered the power of faith." A little book with a big message. 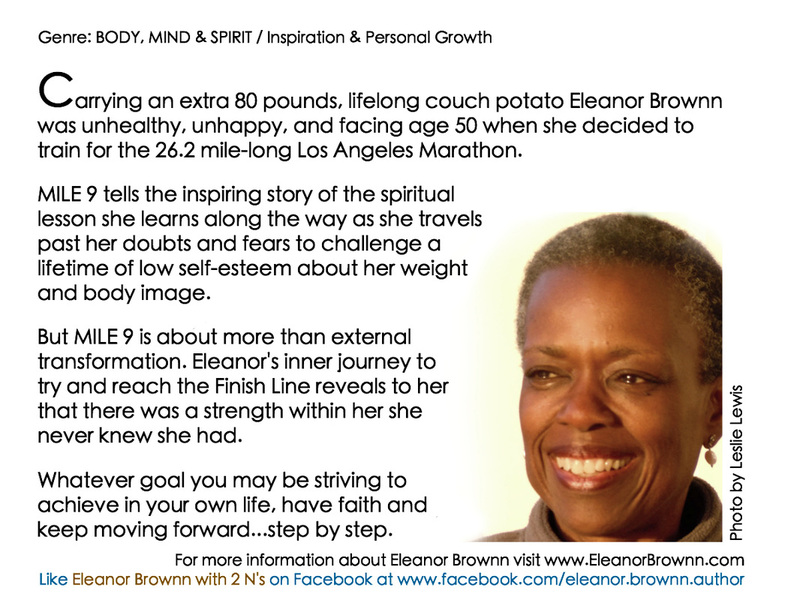 Eleanor Brownn discovers an inner strength she didn't realize she had in this inspirational personal memoir of her journey to the Finish Line of the 26.2 mile long Los Angeles Marathon. MILE 9: The true story of a lifelong couch potato who one day made a decision that changed everything (with Foreword by Leeza Gibbons). Former National Public Radio reporter and host, All Things Considered. "Dear Readers: This is a little book with a powerful message of hope, courage, and daring. Ms. Brownn inspires us, as just when her spirits were the lowest, she found the courage to leave behind her limited belief of what she could and could not do. She dared to come out of hiding and shine her Light. Her story is one of hope and encouragement for all of us who find ourselves at a crossroads, ready to change. 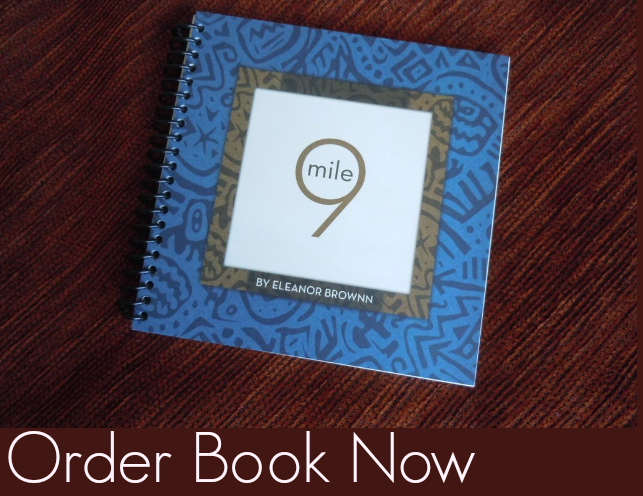 Eleanor Brownn has shared her own story, simply and elegantly told, a wonderful gift for everyone we cherish." "Simply wonderful. A beautiful, quick read. This is a universal story that really resonates, because everyone can identify with one step at a time. I want to share this with my book club." 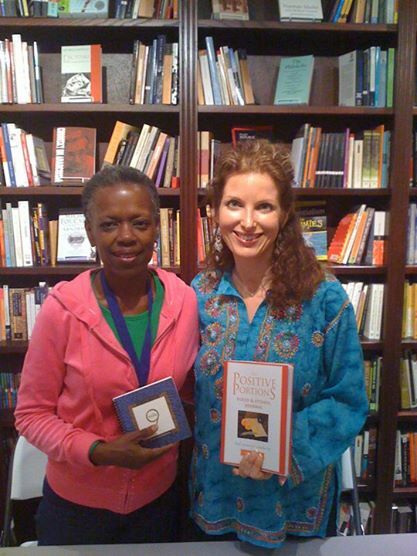 Eleanor Brownn wearing her marathon medal during book signing at Mystic Journey Bookstore in Venice, California, with Shannon Hammer (who is maintaining a 100# weight loss), the author of "Positive Portions." What I'm learning about life after losing (what I thought was) everything. ​Read My Spiritual Sabbatical here.